This one-year program is the first 12-month intensive entry-level period of the Bachelor of Arts program, designed for those who completed their secondary education and are looking for a career in the hospitality or tourism industry. It aims to provide students with a broad understanding of the operational aspects of the international hotel industry and knowledge of the underlying principles involved. 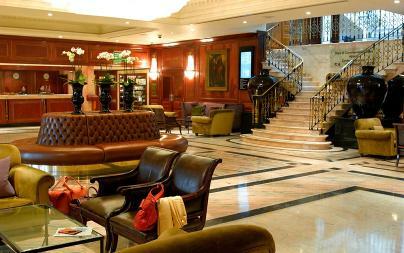 It comprises of one study term of 20 weeks plus one period of 4-6 months paid industry training in Switzerland. This two-year program provides the knowledge needed to launch a career in the tourism and hospitality industry. Students are exposed to business management subjects that include accounting, sales and marketing as well as human resource management. For students looking for international placement, this two-year program is a must. 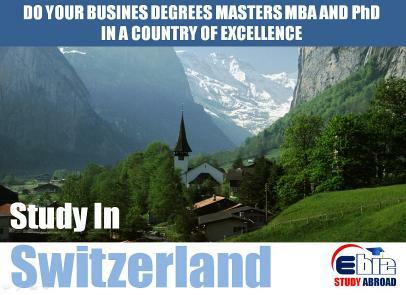 It comprises of two study terms of 20 weeks each plus two periods of 4-6 months paid industry training in Switzerland. This is required in order to proceed to the third study year. The BA in Hotel and Hospitality Management program provides the students with an academic qualification that is attractive to potential employers, the skills and ability to enter the working world, and a 'tool box' that can be applied to a range of careers in the hospitality industry. Graduates may become accomplished managers, capable of working across a range of public and private enterprises including leisure facilities, hotels, theme parks, conferences, exhibitions and even management. The program uses a range of teaching methods to facilitate learning. Core knowledge is covered by lectures and tutorials, supported by guided reading and additional materials on The Virtual Campus "Moodle". Particular care is taken to use the most effective teaching and assessment methods for each module. It is comprised of three study terms of 20 weeks each plus three periods of 4-6 months paid industry training in Switzerland. The BA in Global Management program provides the student with an academic qualification and skill set that is attractive to potential employers across a range of global business sectors in fields such as international sales and marketing; finance and controlling; banking; human resources; operations management, supply chain management and administrator positions in government and NGOs. The program uses a range of teaching methods to facilitate learning. Core knowledge is covered by lectures and tutorials, supported by guided reading and additional materials on The Virtual Campus “Moodle”. Particular care is taken to use the most effective teaching and assessment method for each module. This final year comprises a study term of 20 weeks plus 4-6 months of paid industry placement in Switzerland or overseas. The BHMS Post Graduate Diploma & Master Degree in International Hospitality Business Management program is designed for graduates with post-secondary education who are prepared to accelerate their career development and are empowered to market themselves for higher paying jobs. One or two internships of 4–6 months are an integral part of the BHMS Master program. 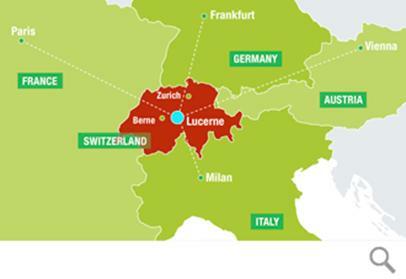 During the Swiss internship, students receive a trainee’s gross monthly salary of CHF2’168. Students’ performance, behaviour and professional a�ttitude is assessed by employers. BHMS Culinary Management Programs develop students' contemporary skills in food preparation and presentation, a la carte cuisine, pastry and desserts and kitchen management through hands-on training and classroom learning. Over the course of 2 years, students acquire all the fundamental skills necessary to work in the world's fine dining establishments in one of the fastest growing industries. This 6-12 months Diploma in Culinary Management program introduces students to the world of food production through basic operation techniques and hands-on core competency training. It introduces students to the basic cooking methods, kitchen equipment, machinery and utensils, as well as recipe costing and kitchen procedures. Students will also learn how to use food ingredients, develop their skills in utilizing kitchen equipments and utensils, learn how to prepare basic stocks, soups, sauces and salads and become familiar with kitchen terminology, nutrition and kitchen accounting principles. After successfully completing 6-months of diploma studies, students qualify for 4-6 months of paid Swiss Internship in one of many renowned Swiss dining establishments. This 6-12 months Advanced Diploma in Culinary Management program builds onto the student's fundamental understanding of international culinary principles gained at Diploma level. Students will explore European and ethnic cuisines by preparing a wide range of recipes including typical appetizers, fish, vegetarian, main course dishes and pastry and desserts. Students will also learn communication and management skills, leadership and team work as well as guest relations. 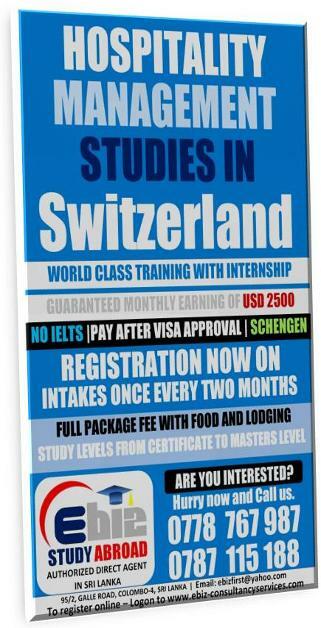 After successfully completing 6-months of advanced diploma studies, students qualify for 4-6 months paid Swiss Internship in one of many renowned Swiss dining establishments.